It’s taken a very long time, but finally after all this time of working on it, I’m very happy to release my latest (and greatest) project, called vMenu. In short, what is vMenu? vMenu is a server sided menu / trainer, including permissions support so server owners can configure this menu to only the things they really need. 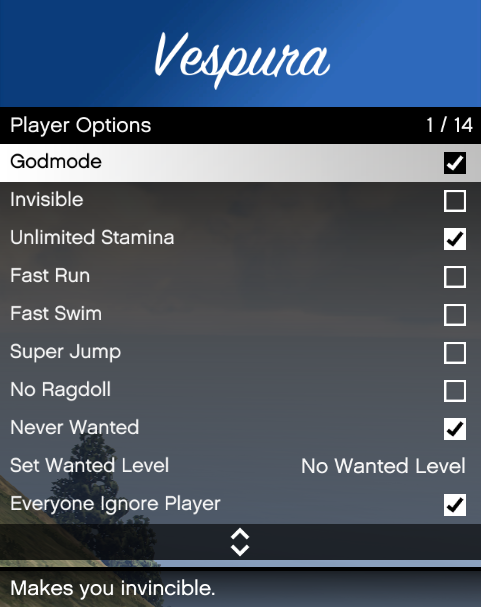 Anything from god mode, healing, cleaning clothes, committing suicide, playing scenarios, never wanted, super jump, super fast running/swimming, and some more things. Things like repairing, god mode, cleaning, setting dirt level, customizing the looks & performance, adding speed hacks… because… we all know it’s important to have your golf cart do 200 mph when you get bored… and a lot more options all available here. Just like the vehicles, you can customize your ped and spawn a lot of different models. You can also save your ped/skins and they will, just like vehicles, be shared across servers. However, you will still need permissions to spawn your saved peds. By default, this is only granted to the “Admin” and “Moderators” group (if you use the provided permissions.cfg file!). It will allow you to enable/disable time freezing and dynamic weather changes (if enabled, changes the weather type randomly roughly every 5 minutes). You can also change the current weather and time, and toggle “blackout” mode. Allows you to spawn and customize weapons. Things like death notifications, join/quit notifications, teleporting to a waypoint, saving your preferences/settings(!) (saving will save the enabled/disabled state of things like god mode, never wanted, join/quit notifications, etc, etc. So the next time you join, they will automatically be restored to your personal preference). The misc settings also contain features like showing your current location, heading and coordinates, enabling/disabling speedometers, disabling hud/radar (disabling the hud also disables any “scripted” hud components drawn on screen by vMenu). Mainly just some general useful features. This is the only submenu that has 0 permissions support, because, lets be fair. 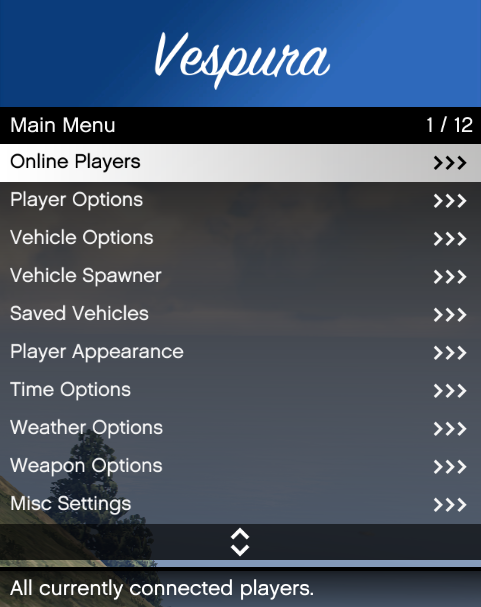 Why wouldn’t you want to let players know where they can find information/get support on how to use the menu?! Because nobody reads all that info above anyway, everyone just wants to see things in action first. join the demo server (devtesting.pizza:30120) if you want to check out the most recent version of vMenu. ZAP-Hosting now offers a one-click installation for vMenu! Click here to get a FiveM server from ZAP Hosting and use the one-click installer from the control panel, use the code Vespura-a-3715 at checkout for a 10% discount on your FiveM server! The reference list in this post has been removed because it was impossible to keep up with changes. For an updated list view the vMenu documentation or the default permissions.cfg file in the resource download. 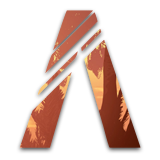 All in-depth information will be listed there on as well as information on how to configure the menu. Please check the GitHub “issues” tab, that’s where I keep track of all issues/bugs. MOST LIKELY your server is outdated and/or you haven’t read the vMenu v3.0.1 changelog, specifically the IMPORTANT section there. Big big thankyou’s to @shayan_doust & @Briglair for helping me with a lot when trying to figure out the best way to do certain things, especially because this is still one of my very first c# resources, they were a tremendous help! Also thank you @IllusiveTea for helping me test things and for the feedback while alpha testing! Keyboard / Mouse Press m to toggle the menu. Controller Press and hold down the interaction menu button (switch camera/select button) for roughly 1 second to open the menu. This is just like you would open the interaction menu in GTA Online. Update: 22-04-2018: Due to the amount of people asking the same questions over, and over, and over, and over and over again, I’ve updated my “support terms”. If you edit the source code in ANY way (which is fine, as long as you do NOT re-release it, you’re free to create pull requests for added features though) I will NOT support you. Bug reports should be made on GITHUB. Any other questions can be asked here. Feature requests can be made here. I will NOT provide support, information, or answer any question related to: editing vMenu’s source code, compiling vMenu from the source files, Visual Studio related questions or anything that has to do with vMenu’s source code being altered in any way. If you want a new feature request it here. I will NOT help you make these changes yourself. These builds are unstable and can cause broken vMenu save files, use at own risk. No support provided for these builds. For those who cannot wait to try out the latest changes on their own testing/development server and don’t know how to build vMenu themselves from the source files (or for lazy people), here you can find the latest development build. Note some builds may not work at all or contain bugs. How do I add an admin on my server? Where is Lambda menu located on fivem server folder? There’s no way you read the entire post in 1 minute lmao! As long as you don’t delete %AppData%/CitizenFX/ or reinstall windows, it should be saved even if you reinstall the game Though, I still recommend backing up that citizenfx folder in case you want to reinstall the game, just to be safe, this also means that if you want to play on another computer, just move that folder over and your saves will be on there as well. Wow this looks like the best serverside replacement for LambdaMenu! Great release! I have a problem and a suggestion. Awesome work. Just need to get permissions working. Ok, here is an example then. Why does everyone have access to what is suppose to only be for Mods / Admins? Not gonna lie @Vespura this looks sick.